A tree fell on the Beard Pavilion in Swanton on Thursday morning. 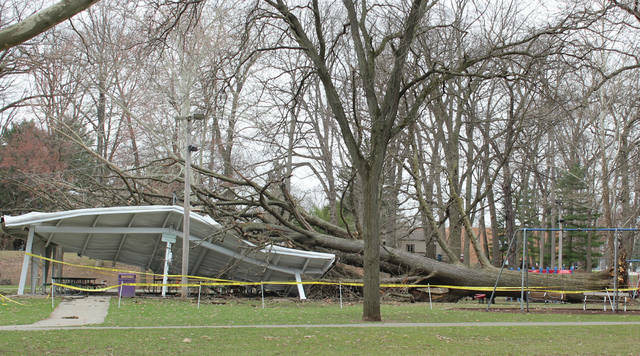 The roof of the Beard Pavilion was pushed onto picnic tables inside by the fallen tree. 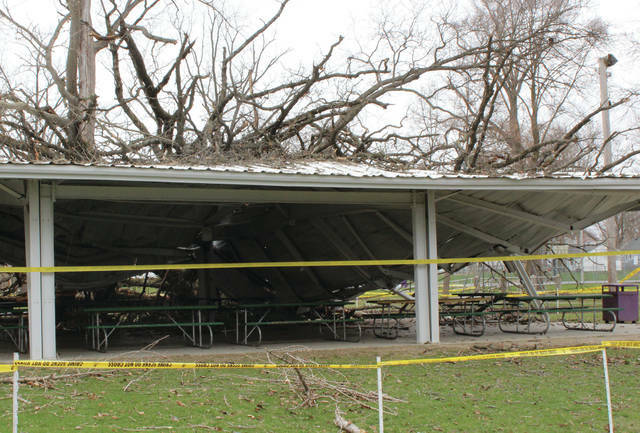 A large tree fell on the open pavilion at Memorial Park in Swanton on Thursday, causing severe damage. At approximately 8:30 a.m. a tree fell on Beard Pavilion. No one was injured. The playground area is closed until further notice as there is a downed power line. Village officials ask residents to refrain from walking through the park. A police patrol will be on site during school dismissal. Vehicular traffic will be maintained.